Are you on a low carb or Keto diet? 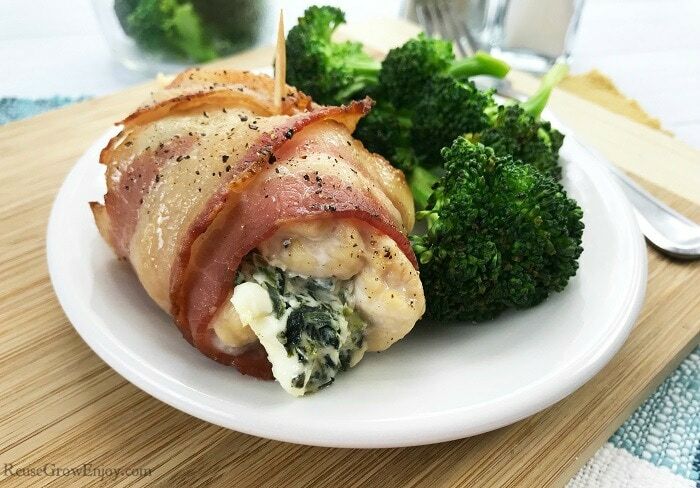 If you are looking for a delicious recipe, check out this easy Spinach & Cream Cheese Keto Bacon Wrapped Chicken Recipe! 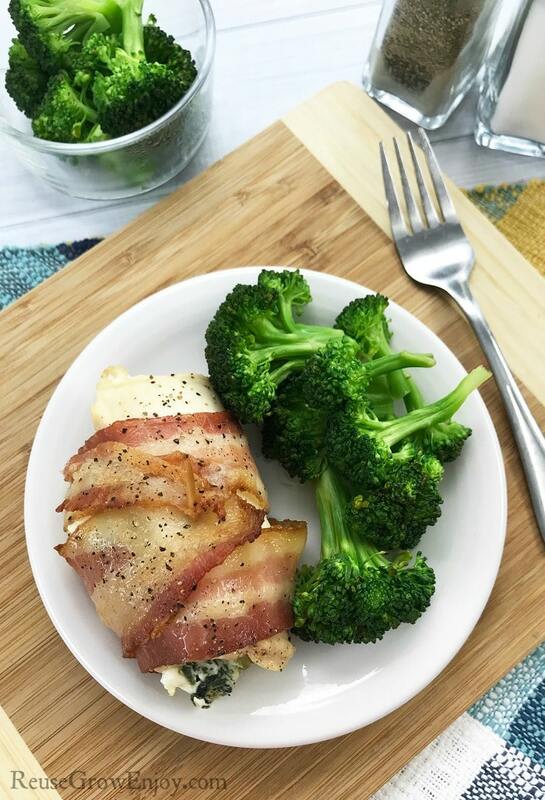 Eating a low carb Keto diet does not have to be hard or tasteless. Finding delightful recipes is really pretty easy when you blend the right flavors. 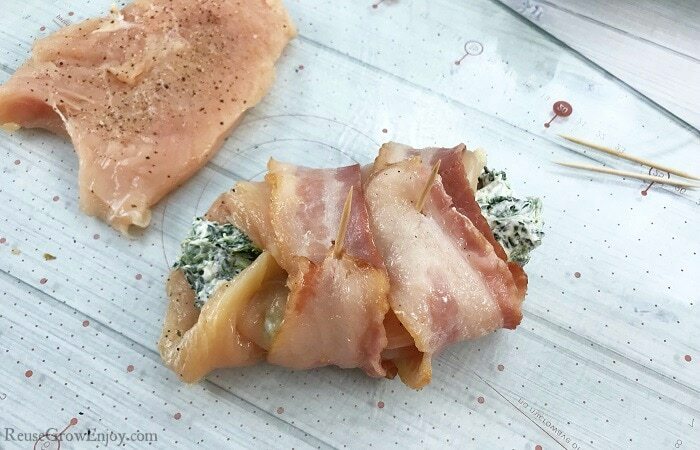 I am going to share with you an easy Spinach & Cream Cheese Keto Bacon Wrapped Chicken Recipe! 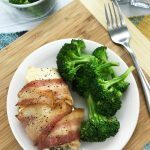 Even if you are not on the Keto diet, I think you will find this easy recipe will quickly become a family favorite. If you are looking for a low carb option to serve it with, be sure to check out my recipe for Paleo Instant Pot Mashed Cauliflower. The trick to holding these in place while cooking is toothpicks! 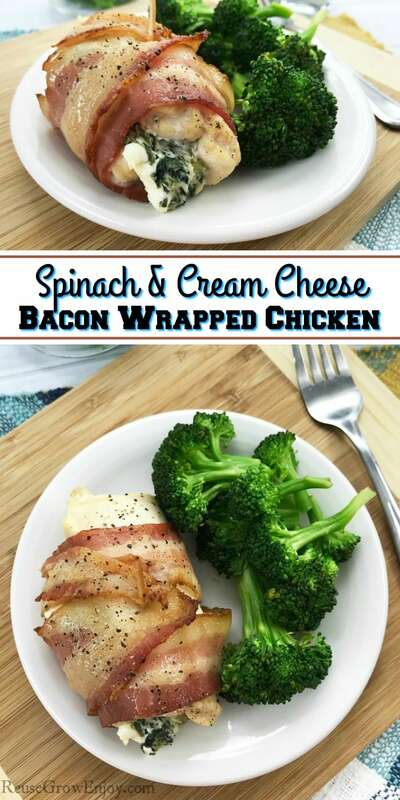 If you roll them up and just leave as is they unroll when cooking and then you just end up cream cheese topped chicken and not stuffed chicken. 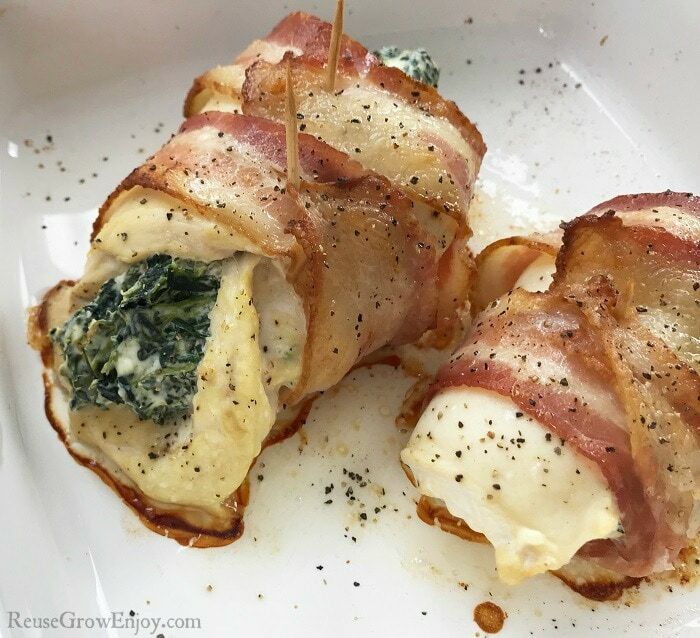 Another thing you will notice with this recipe is that the bacon is partly cooked. If you do not do use bacon that is partly cooked, you will end up with a more rubbery bacon when you bake it. It just has to be lightly cooked first in a pan or oven. Here are a few other low carb recipes to check out. Partially cook the 12 slices of bacon, you don't want them crispy/done. You just need them cooked about halfway. 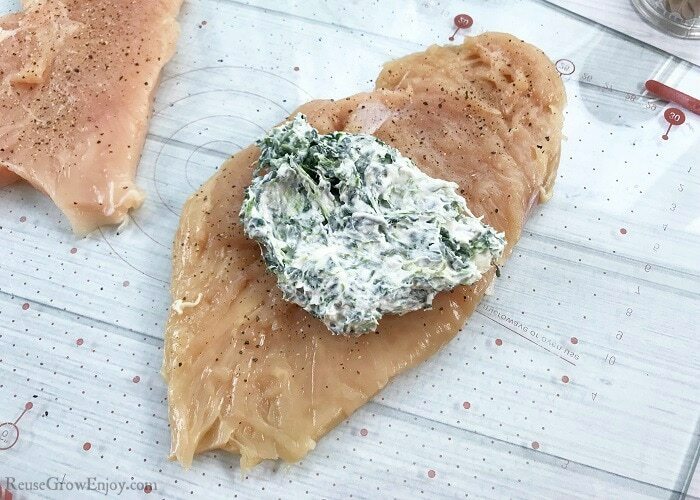 Use a meat tenderizer to flatten the chicken breasts and lightly salt & pepper them. Mix the cream cheese, spinach, onion powder and garlic powder until mixed well. Spread the mixture in the middle of each chicken breast and gently roll it up. Secure with 1-2 toothpicks. Now wrap 2-3 bacon slices around the chicken breast and secure with toothpicks. I gently removed the previous toothpick and re-inserted to hold the bacon and chicken together. 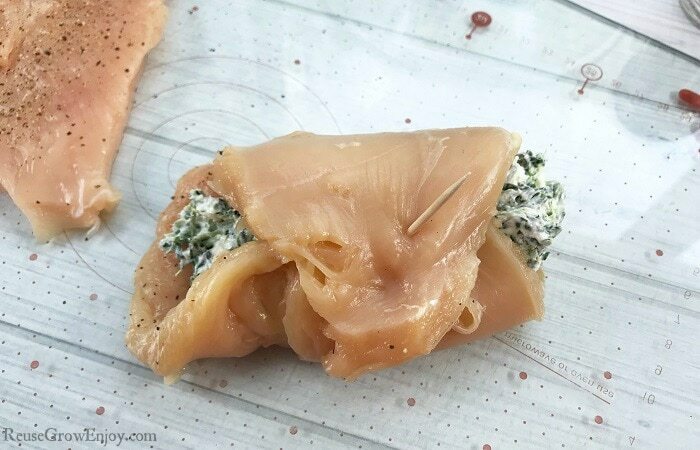 Once the chicken breasts are stuffed and wrapped, place in a baking dish. Bake for 35-45 minutes or until cooked through.